professional development | Edtech, Go! Professional learning or professional development is an essential aspect of being a 21st century teacher. As students continue to learn in the classroom, teachers must also continue to learn in order to improve their teaching skills. For EdTech integrators or teachers, the integration of technology in the classroom sometimes require constant updating about the new tech tools that are available and how they can be employed pedagogically. Continued professional learning can be in the form of formal classes though enrolling in further or university studies. Informal professional learning, which has taken various forms, gives teachers a more independent and personal take or choice in whatever aspect of teaching they want to improve on. With technology’s deeper involvement and integration in education, teachers can also take advantage of various professional learning or development opportunities that can be accessed through Internet or online resources. Here are five informal professional learning or professional development opportunities that can help teachers increase their knowledge on new technologies, trends, and best practices in integrating technology in education. In order to improve learning and teaching, schools should initiate professional development (PD) sessions for teachers. 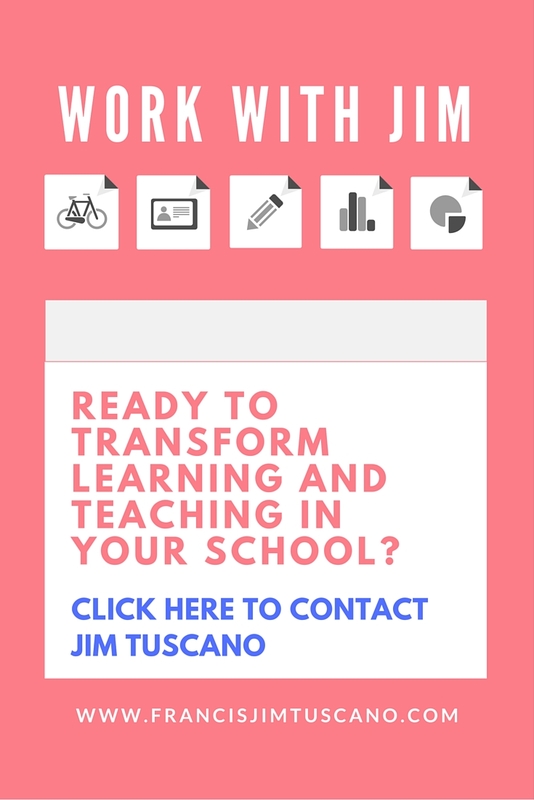 It can be a school-wide event where all teachers are required to attend and participate or small departmental or grade level meeting or workshop. Simultaneous breakout sessions or trainings on the use of a certain app, strategy, or teaching method can be developed or planned for a school-wide PD event. For smaller scale events, professional sharing and conversations are great examples for teachers to share tech tools used in class, best practices in integrating tech or success stories in the classroom. Teachers can also volunteer and participate in tech coaching and mentoring sessions. Novice teachers can work with tech integration mentors or experts in the school so that they can further improve and polish their teaching skills with tech integration. Pushing it further, teachers may also work and learn with students who are “tech experts.” Although this opportunity might threaten some teachers, it is also a good opportunity to show that students can also participate in helping a teacher understand a certain tech tool or how to use or manipulate it. Educators in local areas form learning communities or groups which aims to create opportunities for teachers from different schools and contexts to share their expertise about integrating technology in the classroom. This is a very helpful opportunity because the different contexts where the members are coming from can provide more data or insights to how a certain tech tool, strategy, or teaching method can be used in class. Since the sharing or conversations are based on experiences in the classroom, each member can learn and avoid mistakes committed by another teacher. Further, the learning community can work on how they can replicate the successes and maybe, improve further what was shared. Meet ups are often arranged by a learning community leader. Members attend and take with them whatever data or story they can share to other people. A few examples are local Google Educators Group and EdTech community meet ups. Teachers can surely increase their knowledge and acquire more skills when attending local, national, or international EdTech conferences. Professional conferences are great opportunities for teachers to personally learn from known experts or innovators in the education and technology integration field. Visiting exhibits from participating EdTech companies is also an interesting way to try out new tools that are being offered or showcased. Moreover, teachers can also take advantage of breaks during sessions to personally connect and meet with other educators attending the conference. It is a great time to personally build your connections among the education circle. Check this site to know more about EdTech conferences. A lot of educators have seen and have experienced how helpful and wonderful it is to create a Professional Learning Network (PLN) in various social media platform. The power of social media has opened a greater, quicker, and more efficient way for teachers around the world to connect, share best practices, and engage into deeper reflection or discussions in teaching and learning in general. More specifically, Twitter has been a massive tool for educators from different places in the world to connect and learn from each other. Educational chats and hashtags in Twitter have grown so much and have seen various forms to accommodate the different subject, learning, or educational areas being discussed in Twitter. Educational chats based on locations and learning principles or ideas are also available to be explored and for participation. Check this site and discover education chats in Twitter. Other platforms that offer PLN opportunities are Google+ Communities and LinkedIn Groups. Some EdTech companies and universities are also offering free online training opportunities for teachers to further deepen their knowledge on EdTech integration in teaching and learning. Massive open online courses (MOOCs) or simply, online courses have been popular means for teachers to take further studies or trainings. While most of the training are free, getting certified sometimes would require payment. A recent excellent example for online trainings are the Google Certification Trainings, where educators can train for the integration of Google Apps for Education in the classroom. The training is free and can be accessed wherever and whenever. The certification, though, requires an online assessment for a fee. Do you still have more professional learning opportunities that you can share? Sound it off in the comment section.